Zimbabwe wants to strengthen economic relations with its neighbours to boost its economic growth potential after decades of isolation and sanctions. President Cyril Ramaphosa will visit Harare on Monday to co-chair the third South Africa-Zimbabwe Bi-national Commission (BNC) with his counterpart Emmerson Mnangagwa. This comes hot on the heels of another meeting between Mnangagwa and his Botswana counterpart Mokgweetsi Masisi in Harare. Botswana committed R1.4 billion to help Zimbabwe’s private sector during the meeting. The Zimbabwean government has been on a regional, continental and international charm offensive in a bid to attract foreign direct investment and boost trade. The country has now invited President Cyril Ramaphosa for a third BNC which is set to culminate in the signing of more bilateral agreements between the two nations. So far, there are at least 45 bilateral agreements signed between the two countries which include trade and tourism amongst others. President Ramaphosa will be accompanied by a high-powered delegation of ministers including the International Relations Minister Lindiwe Sisulu, Rob Davies of Trade and Industry and Nosiviwe Mapisa-Ngqakula of the Defence Ministry among others. 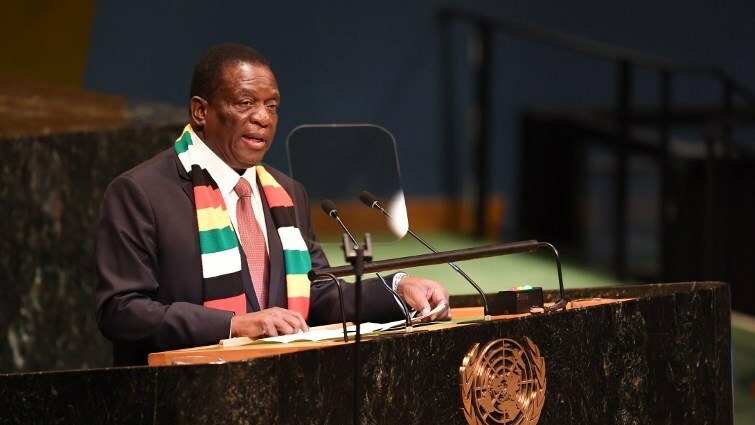 The post Zim wants to strengthen economic relations with neighbour countries appeared first on SABC News – Breaking news, special reports, world, business, sport coverage of all South African current events. Africa's news leader..